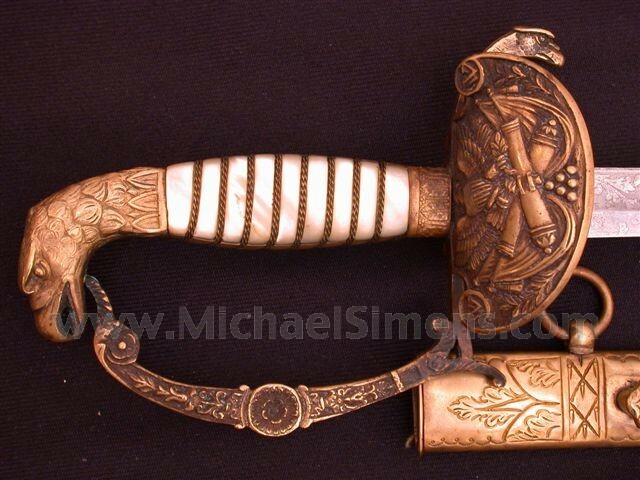 This Early form of Militia Staff Eagle pommel sword is by Fletcher and Gardiner. The style is certainly militia staff but the counter guard clearly identifies this as a sword for an artillery officer. The overall guard with mother of pearl grip, wonderful eagle quillon and rarely seen artillery counter guard make this eagle pommel sword hilt wonderful. 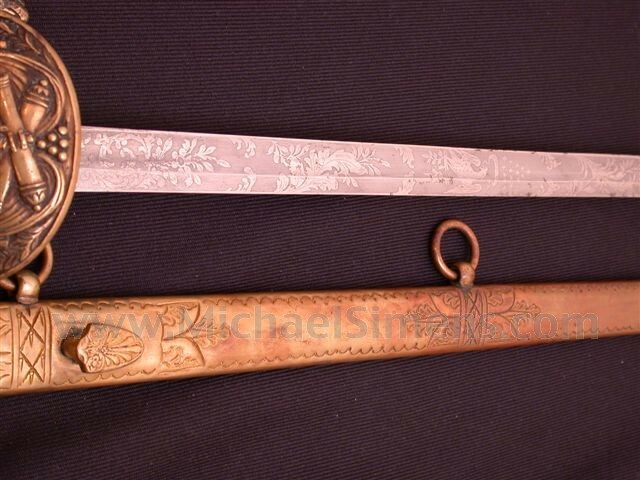 The blade makes a sword as the expression goes among sword collectors and this blade is no exception as it is in wonderful condition with beautiful etching on a frosted background. The American Eagle is especially fine. 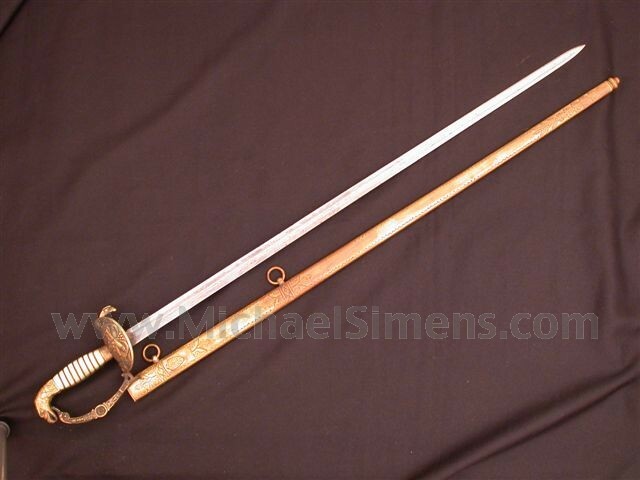 This sword has elements of Widmann in its style especially with the knuckle bow and ferrule of the hilt and the scabbard with its embossed finish. If Widmann made the sword, it was retailed by Fletcher & Gardner and their mark is scarce.